Since a long period of time, the so-called Rauzer-Richter Variation is been considered as one of the most reliable Sicilian weapons. A simple check in the database is enough to see that over the years this line has been employed by the World's best players. The arising positions are usually very subtle from a positional point of view. One should understand very well the typical pawn structures in order to play the Rauzer. That is why the player with a better understanding has good chances to outplay his opponent. In this position, White has two main moves - 6.Bg5 and 6.Bc4. Of course, there are alternatives such as 6.Be2, Be3, 6.f3, 6.g3, 6.f4, 6.h3, and 6.Nb3. The current database deals with 6.Bg5 which is by far White's main choice nowadays. All the alternatives will be dealt with in the next part of the Rauzer project. The current database consists of 6 extensively explained pawn structures, 18 theoretical chapters, and 36 test positions. As we have already pointed out, the understanding of the arising middlegames is critical when it comes to the Rauzer Variation. That is why IM Ogulcan Kanmazalp covers the 6 most important pawn structures in this line. This is one of the most thematic Rauzer structures. Such positions are being reached when White exchanges his dark-squared bishop for Black's f6-knight. As a result, we have a complex middlegame battle which is rich of imbalances. Black has a spoiled pawn structure and a king which is stuck in the center. As compensation, he enjoys a pair of bishops, good control over the center (the e5-square is very important), and space advantage on the queenside. Let's take a look at the plans for both sides. This idea can be realized by means of maneuvers like Nc3-e2-f4 followed by g2-g3 and Bh3. 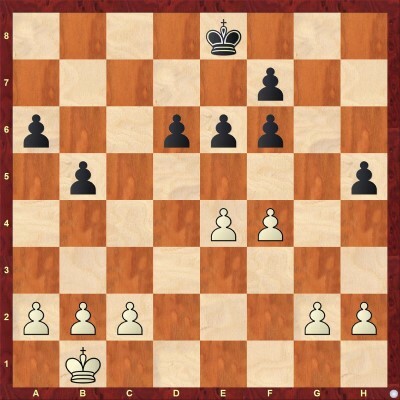 This idea works in positions in which White is ahead in the development or black pieces lack coordination. By playing e4-e5, after the exchange fxe6, White frees the e4-square for the knight. In such positions, White's initiative can become very dangerous. The pressure on d6 is effective when Black's dark-squared bishop is not on the board. White usually exerts pressure on d6 by placing his heavy pieces along the d-file. Rooks on d1 and d3, as well as a queen on d2, is quite a standard attacking construction is such positions. Given the fact that Black's h-pawn is a separate pawn island, sometimes, White is going after it. A typical maneuver would be the rook-lift Rf1-f3-h3. The control over the e5-square is one of Black's main advantages in this structure. In the middlegame, Black usually occupy this square with a knight. In the endgame, however, the bishop is ideally placed there. A typical maneuver would be Bh6-f4-e5. The queenside pawn expansion is a typical Sicilian plan. Rauzer is not an exception. Black tries to open files on the queenside by playing ...a6-a5, ... b5-b4, ...a5-a4, and ...b4-b3. Another very important idea is to weaken the dark squares by means of ...a6-a5, ...b5-b4, ...a5-a4-a3. In the former case, Black's e5-bishop would be very useful. The idea to put pressure along the g-file is very typical in this structure. 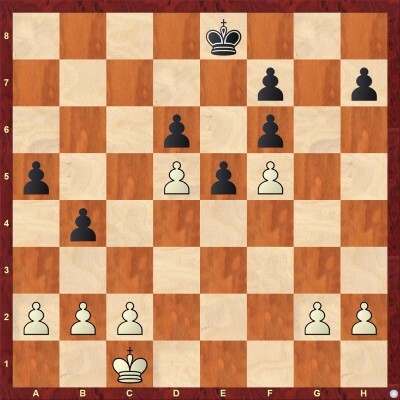 Black achieves that by playing ...h5-h4 (fixing the g2-pawn) followed by ...Rg8. By tying White's pieces up to the defense of the g2-pawn, Black significantly reduces their attacking potential. Endgames are generally favorable for Black. An ideal scenario would be a queenless position in which White has a knight and a light-squared bishop and Black has a pair of bishops (all the rooks are on the board). Black usually tries to combine his play along the g-file with pressure on e4. The creation of queenside weaknesses by playing ...a6-a5, ...b5-b4, ...a5-a4-a3 is an extra option. In such endgames, the bishops are ideally placed on e5 and c6 while the e7-square is the perfect spot for the king. This type of position is very difficult for White. This structure arises when White had managed to provoke the advance e6-e5, thus weakening the d5-square. Before going for e6-e5, Black is advised to chase the c3-knight away by means of b5-b4. As a result, we have a very complex structure in which each player has his own advantages. Let's take a look at the plans for both sides. Ideally, White should try to occupy the d5-square with a knight. 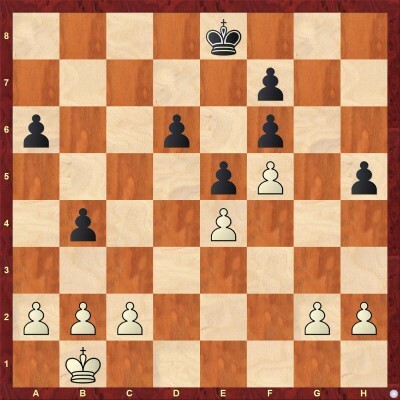 Nevertheless, if Black's ...b5-b4 had been answered with Ne2, such a maneuver is rather difficult. Very often (especially in positions with opposite-colored bishops) the d5-square is occupied by a bishop. If supported by other pieces, the d5-bishop can put considerable pressure on Black's position. 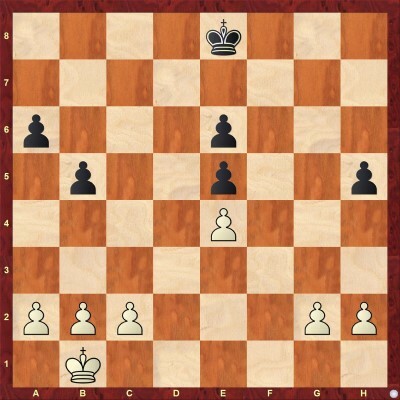 As it was the case in Structure 1, here, White can put pressure on these pawns as well. In middlegame positions, the black dark-squared bishop usually holds the d6-pawn quite comfortably. On the other hand, the attack against h5 requires the transfer of important resources to the kingside. In such a case, Black can seize the opportunity to create counterplay on the queenside. As usual, the queenside attack remains Black's main plan. In this case, however, he does not have the e5-square at his disposal and must care about the d5-square. Very often, the pressure against the e5-pawn is an effective strategy in this structure since the e4-pawn is already fixed. 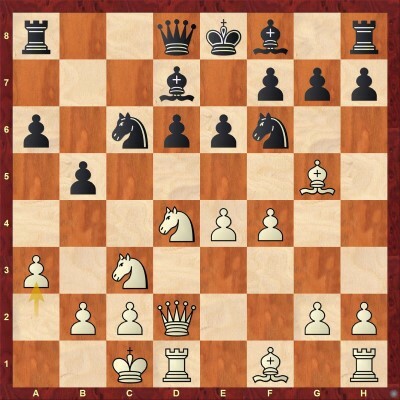 Black can increase the pressure on the central pawn by simple moves such as ...Bb7, ...Rg8-g4, and ...Nb8-d7-c5. It is important to point out that endings are usually favorable for Black since the e4-pawn is more vulnerable than the one on e4. When White had already played f4-f5, the advance d6-d5 becomes an option. Of course, when all the pieces are on the board such an idea would be rather risky. In endgame positions, however, d6-d5 works very well. The e5-pawn immediately becomes a protected passer. The pressure along the g-file remains an important idea even here. Besides the pressure on g2, as we have already pointed out, the maneuver ...Rg8-g4 allows Black to put pressure on the vulnerable e4-pawn. This pawn structure is strongly related to the two previous structures. For instance, if White goes for the advance f4-f5, we have structure 1. If f4-f5 is answered by e6-e5, there is a transposition to structure 2. Nevertheless, in the current position, White is much more flexible. Here, he has the possibility to strike with e4-e5, thus opening the position and freeing the e4-square for the knight. Such a strategy works well when White is ahead in the development or Black is not coordinated. Besides his typical ideas (queenside play, pressure on e4, and pressure along the g-file), in this structure, Black has an additional idea at his disposal. In some cases, Black can put his dark-squared bishop on the long diagonal and play f6-f5 himself. In this case, the play gets extremely double-edged. Black's queenside attack would be stronger but the center opens and the d6-pawn would be vulnerable. That is why such a strategy requires precise calculations. This pawn structure arises after f2-f4-f5 followed by fxe6. White's main triumph in this structure is the open character of the position. Of course, with a pawn on f7, Black's king would be safer. On the other hand, Black enjoys a better pawn structure and control of the center. Another important advantage is the e5-square which is usually occupied by the knight. Given the fact that Black has a better pawn structure, every endgame is favorable for him. The idea of putting pressure on e6 is a recurrent theme in Rauzer positions. In this concrete case, this approach is even more relevant since there is no pawn on f7. Of course, White's dream would be to provoke the advance e6-e5. This is probably the most important idea in this structure. Black should try to block the e4-pawn since the threat of e4-e5 is always an issue. As the dark-squared bishop is usually tied to the defense of the d6-pawn, Black usually put a knight on e5. Besides his important defensive tasks, the knight also takes part in the queenside attack. The endgame is very favorable for Black. In every endgame, the e4-pawn is problematic for White. Additionally, Black has the e5-square at his disposal as well as the semi-open "c" and "g" files. When this structure appears on the board, the queens are already exchanged. This position on the diagram arises out of structure 4 when Black allows the move Qxf6 in order to answer it with ...Qe5. In this way, he manages to exchange the queens. The practice has shown that Black has enough compensation for the pawn. The doubled pawns on the e-file are not a weakness at all. They control a number of important squares in the center. Additionally, Black has a pair of bishops and active play on the g-file. This structure is being reached when Black has given his light-squared bishop for the d5-knight. That is why usually we have a position with opposite-colored bishops. Generally speaking, this is one of the most favorable structures for Black. As we know, the security of the king is the most important factor when it comes to the evaluation of positions with opposite-colored bishops. It turns out that the black king is much more safe in the center than his white colleague on the queenside. His Majesty goes to the perfect e7-square, thus connecting the heavy pieces. Black usually tries to weaken the dark squares around the white king. This is often done by means of ...a7-a5-a4-a3. Another thematic idea is the maneuver Bf8-h6-e3-d4 (in this case, the queen is well placed on c5). When the queens are already exchanged, Black often plays against the g2-pawn. In order to provoke the advance h2-h3 (creating a backward pawn on g2), he has the following idea at his disposal: .. .h7-h5-h4 followed by ...Bf8-h6-f4. The protected passed pawn on e5 could also become an important factor in the endgame. 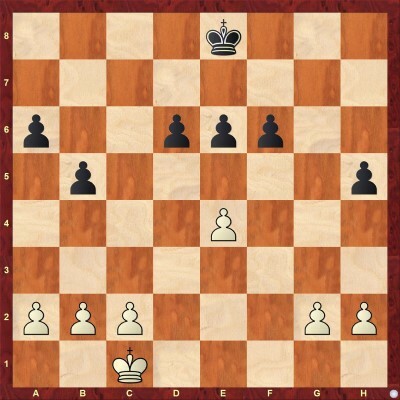 White often tries to spoil Black's coordination by transferring a bishop to the c6-square. Very often, however, the play goes around this bishop which proves to be isolated. The theoretical part consists of 18 chapters which cover the entire 6.Bg5 system. IM Kanmazalp provides deep analysis and many important novelties. The good knowledge of the pawn structures will be very helpful for the understanding of the theoretical part. 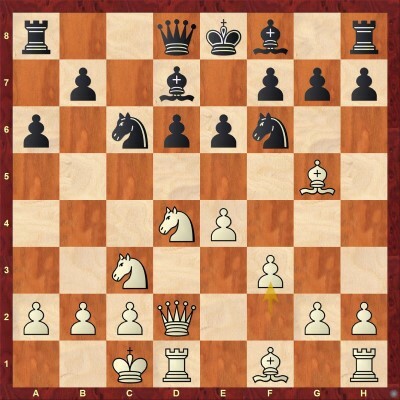 In this position, apart from the main move 7.Qd2, White has a number of rare options - 7.Bc4, Be2, Bb5, and the 7.Qd3. Chapter 1 deals with the three bishop moves. Since these continuations do not fit into the spirit of 6.Bg5, (castling long as soon as possible and start attacking on the kingside) they can hardly create problems for Black. The move 7.Qd3 is much more interesting. The idea is to avoid all the ...Nxe4 tricks after the eventual ...h7-h6 ...Bh4. Of course, being on d3, the queen is a little bit exposed. Therefore, in some cases, this factor would allow Black to gain an important tempo. In his analysis, Ogulcan Kanmazalp shows that Black is doing well in all the lines. The move 7.Qd3 covered in Chapter 2. In this position, White has two main continuations - 9.f3 and 9.f4. Of course, when playing this line with Black, we should be aware of the alternatives as well. The current chapter features three sidelines - 9.Qe1, 9.Nxc6 and 9.Be2. In his annotations to chapter 3, the author demonstrates that none of these moves is particularly challenging. Moreover, with a precise play, Black can even overtake the initiative. The move f2-f3 is very typical for the Sicilian Defence. White is planning to build a kingside attack by means of g2-g4 and h2-h4. At this point, the author provides you with a choice. Chapter 4 deals with the most popular 9...Be7 while chapter 5 covers the currently topical 9...Nxd4. Both lines are submitted to in-depth analysis. Kanmazalp finds many interesting novelties in both directions. After reading the corresponding material, you can safely include these lines to your repertoire. Nowadays, when computer preparation is getting more and more important, one needs to have alternative choices in the opening. These chapters are an introduction to the absolute main line with 9.f4. In this position, White's most popular choice is 10.Bxf6, thus compromising Black's pawn structure. Nevertheless, White is not forced to play in this way. In chapters 6, 7, and 8, Kanmazalp covers all the sensible alternatives on move 10. Chapter 6 is dedicated to rare lines which are not challenging at all. In this chapter, Kanmazalp deals with no less than 8 moves - 10.Bxb5, 10.Re1, 10.Kb1, 10.f5, 10.Qe3, 10.Nf3, 10.e5, and 10.Qe1. Of course, these moves cannot pose any problems for Black. Moreover, Black is the one who is fighting for the advantage. Chapter 7 is dedicated to the tricky 10.a3!?. With this move, White prevents Black from kicking the c3-knight back with ...b5-b4. Later on, White will be trying to execute the e4-e5 advance. A typical preparatory move would be Nd4-f3. On the other hand, the move 10.a3!? weakens the queenside. As you can read in every strategy book, one should pay attention before moving his pawns on the wing where the opponent is stronger. Black can use the a3-pawn as a hook. That is why Black's queenside counterplay is getting much faster. By exchanging the knights, White usually tries to make easy the advance e4-e5. On the other hand, however, Black's light-squared bishop is getting active immediately. Moreover, it is known that exchanges tend to favor the side with less space. On the diagram position, White has many options. 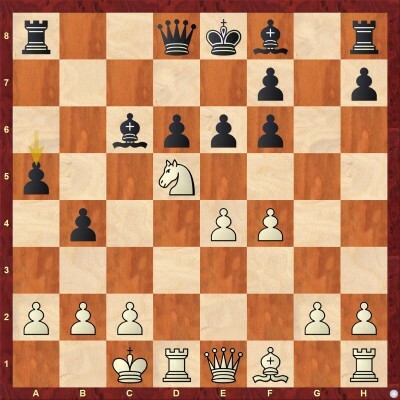 Besides the most natural 11.Bd3, Kanmazalp also examines 11.e5, 11.Bxf6, 11.Qe3, and 11.Qe1. According to the analysis of the author Black is doing more than OK in all the lines. With the move 11.f5, White aims to put pressure on Black'centerre without losing time with preparatory moves like Kb1. There are two good continuations in this position. The first one is 11...Qb6 (Chapter 9) and 11...Nxd4 (Chapter 10). Both continuations give Black decent chances, therefore, it is up to the reader to choose the variation according to his own taste. However, as we have already pointed out, in modern chess where computer analyses are of utmost importance, having more than one option for an opening is very useful and recommendable. This natural bishop move is one of the popular options. Rather than preparing Nd5 with moves like 12.Qe1 and 12.Qe3, White is rather planning to prepare the same idea by means of Rhe1. Nevertheless, this plan turns out to be rather slow. In this chapter, Kanmazalp shows that with a precise play Black can easily achieve a comfortable position. This is a typical move for such positions. Besides the typical idea Nd5, in some situations, White can put pressure on f6 by means of Qh4. This is the critical position for the line with 12.Qe1. The author analyzes five options for White but none of them manages to create problems. This move has various purposes. The most important one is to prevent the black queen from reaching b6. 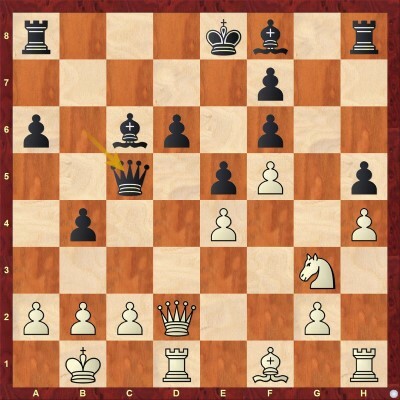 Furthermore, as in the line with 12.Qe1, this move prepares Nd5. Apart from these ideas, after the thematic f4-f5, White may play Qh3 to attack the e6-pawn. Black's most precise continuation in this position is 12...Qe7! with the idea ...Qa7. Kanmazalp examines this position in great detail and manages to come up with many interesting novelties. The conclusion is that Black holds the balance in every single line. With his last move, Black wants to provoke massive exchanges on d4, thus simplifying into a favorable endgame. At this point, White's main move is by far 12.Nxc6. Chapters 14 and 15 deal with the alternatives to this continuation. 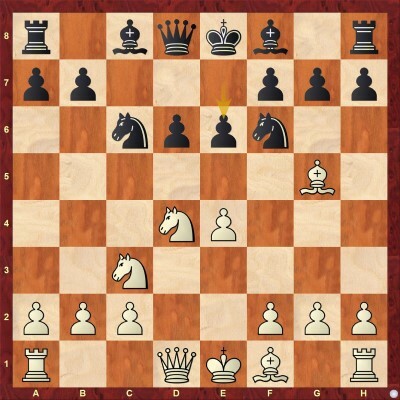 Chapter 14 features the moves 12.Nf5, 12.Nb3, and 12.Nf3. These moves can hardly pose any problem but must be taken seriously and require precision. The lines suggested by the author are rather convincing. White keeps the knight on d4 and avoids the exchange of the queens. He has many alternatives to finish the development in this position. The most logical setup is g2-g3 followed by Bg2 and Rhe1. This plan, however, is rather time-consuming and Black has just enough time to organize his queenside counterplay. In his analysis, the author proves that Black is doing perfectly in the line with 12.Nce2. With this typical move, White intends to play Nc3-d5. 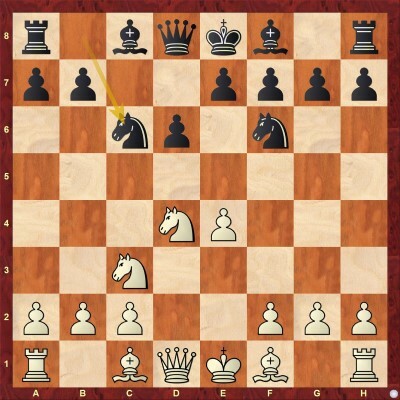 In addition, there's the idea to play Qh4 starting an attack on the kingside. Here, the author suggests that Black should go for 13...0-0-0. Not the most popular move but quite an interesting one. Black prevents the Nd5 threat and brings the king to a safe square. Many correspondence games show that this move is playable and gives Black good chances. In his annotations, Kanmazalp shows a number of novelties which improve Black's play. In this important position, White has two main moves - 17.Qe2 and 17.Bd3. Chapter 17 deals with 17.Qe2 while Chapter 18 covers 17.Bd3. True to his style, IM Kanmazalp provides in-depth analysis with many new ideas. His conclusion is that Black is doing fine in the arising positions. In this section, the author provides you with 16 interactive test positions which are designed to test your understanding of the theoretical material.